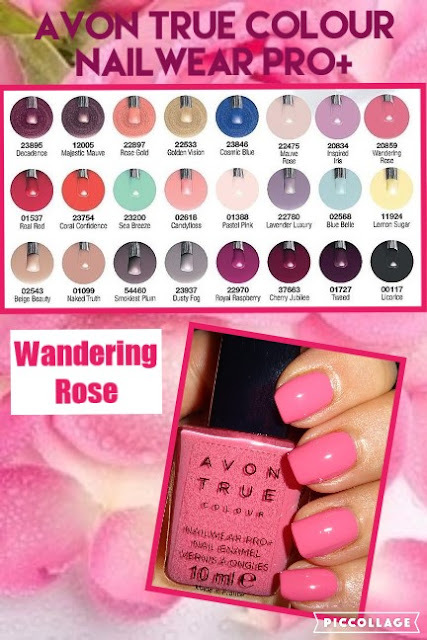 Avon True Colour Pro+ Nail Enamel range is currently half price at £3 in C14, and with 24 gorgeous shades to choose from, there's something for everyone. Here's Wandering Rose from the collection, a warm soft pink crème. The formulation is excellent and includes acrylic and nylon for longer lasting colour, applies very well and comes in a 10ml bottle. Are you a pink kinda person, is this the shade you'd go for? A delightful and delicate pretty rose pink. I've received confirmation directly from Avon that all their nail enamels are 5-Free (free of: Formaldehyde, toluene, DBP, formaldehyde resin, and camphor).